Prepare cake batter and bake as directed on package for 24 cupcakes; cool completely. Mix Cool Whip, milk and jam just until blended; spread onto cupcakes. Prepare using strawberry jam and sliced fresh strawberries. 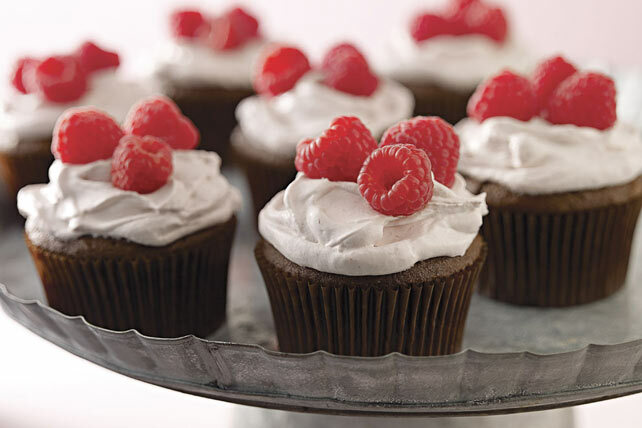 Cupcakes can be baked and frosted ahead of time. Refrigerate in airtight container up to 6 hours. Top with raspberries just before serving.